I didn’t find it very interesting. I usually like detective fiction but this book wasn’t for me. I really liked the mystery and adventure of Death Cloud. I like the way that it isn’t just action, like some books, but reveals a mystery as the book goes through. I want to read them all! I really enjoyed this action packed adventure. The descriptions of London were great, and it was nail-biting when Sherlock camd face-to-face with the villain. I hope there are going to be lots of books in the series! 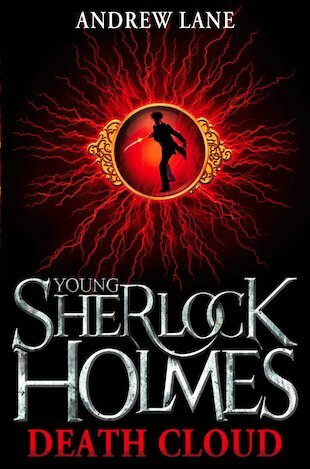 I don’t usually enjoy sherlock holmes… But when i read this book it changed things around, I love the victorian era and i love mystery and detective stories. In this book we see sherlock stay with his aunt and uncle at their vast house in hampshire but that summer in the year 1868 he uncovers his first mystery, a kidnap! I really enjoyed this book and couldnt put it down therefore i rate it 8/10! This book is about a you sherlock holmes and is very intriging for youyng readers as i enjoy mystereies and murder storys i abosolutley adore this book!!!!! the book was one of my best books i read it took me a week to finsh it.